When the Bruder toy crane boom is fully raised, it is 50 inches high and will tower above some of the little builders. 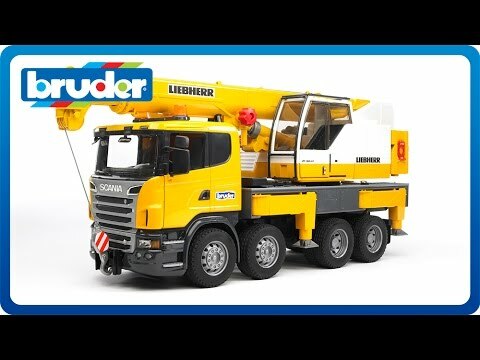 This Bruder's toy crane truck is as impressive as the super duper play vehicle can be! 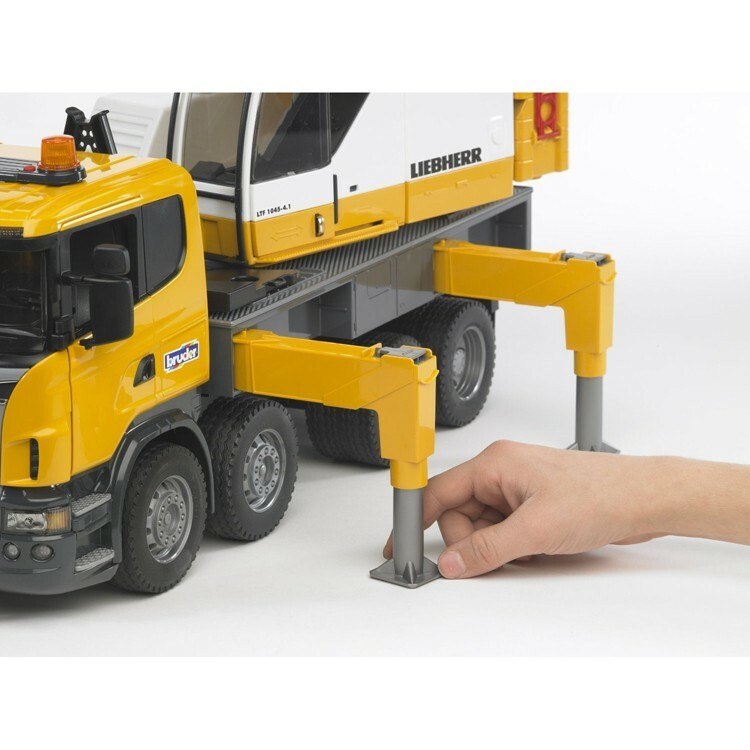 Bruder Scania R Series Liebherr Toy Crane Truck literally stands above the Bruder's toy utility vehicles. 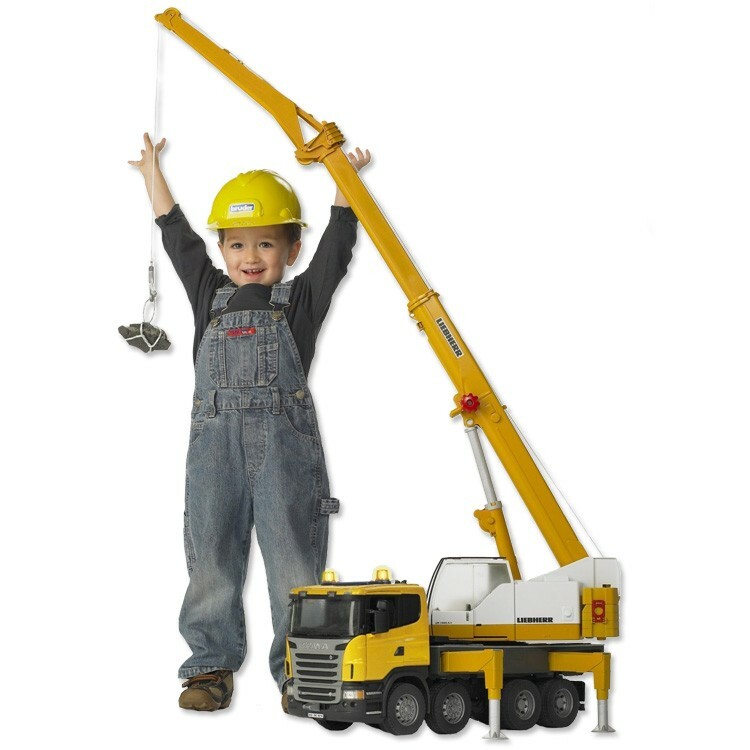 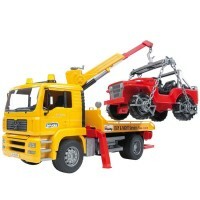 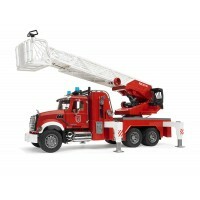 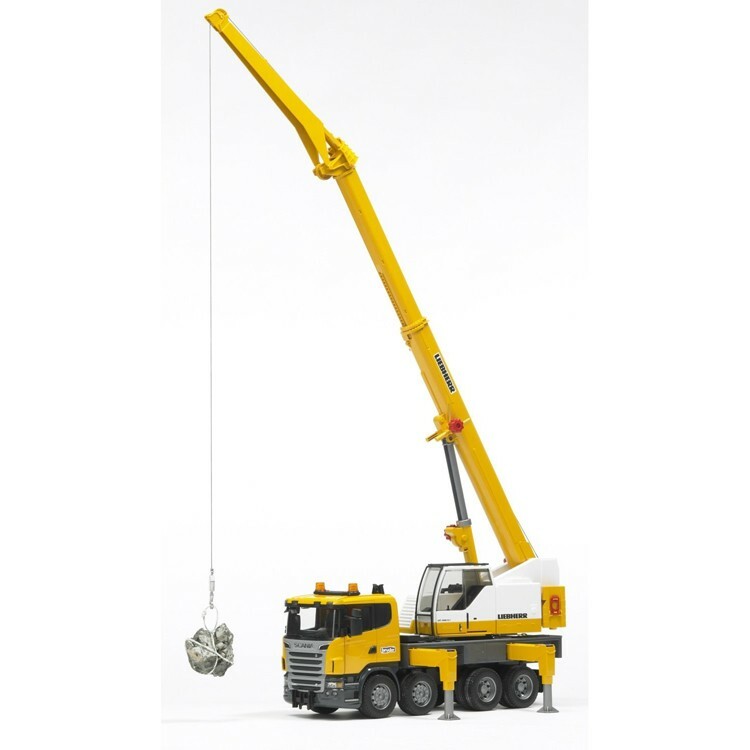 This play crane truck extends the telescopic arm up to 50 inches high. 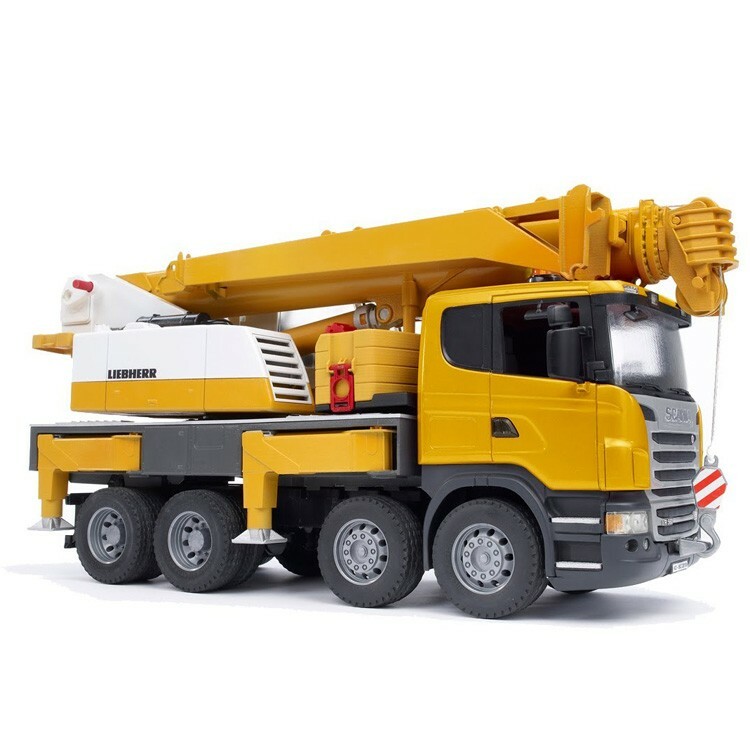 Your young vehicles lover will be impressed because when the crane boom is at full length with the additional attachment and fully raised, it will tower above some of the little builders. 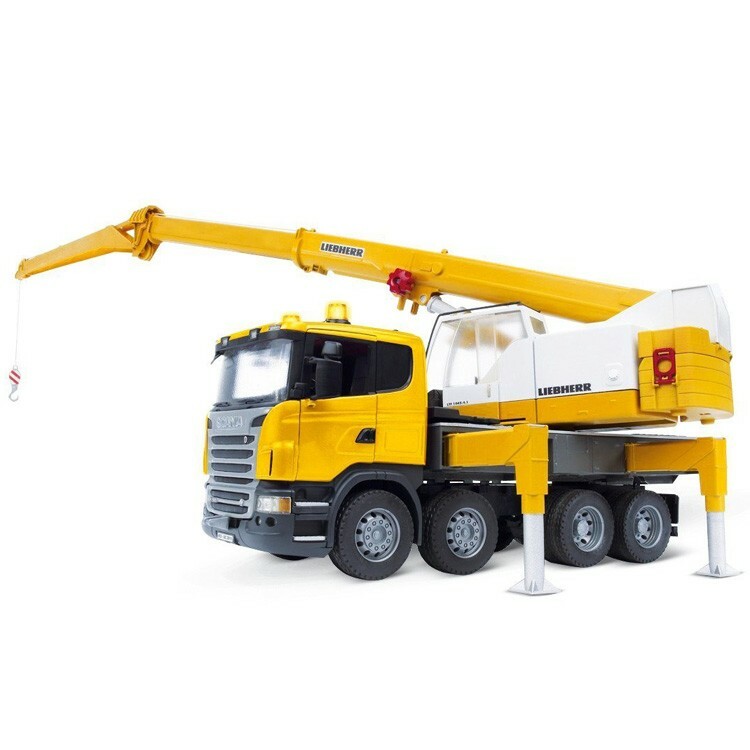 What makes this play crane vehicle even more amazing is that Bruder designed it really stable with the special adjustable folding stabilization legs that prevent the Liebherr crane truck tipping over. 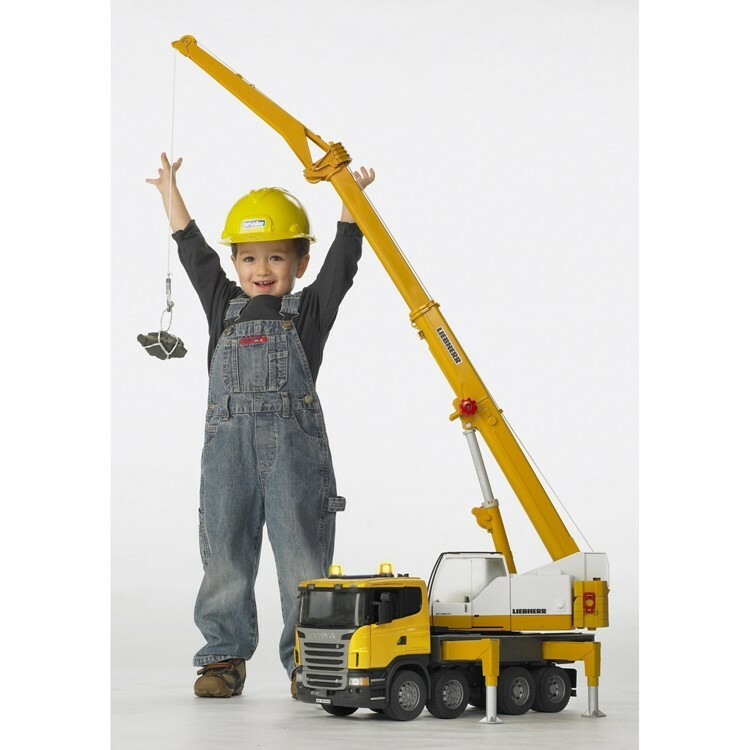 This multifunctional utility vehicle toy from Educational Toys Planet includes a sturdy cable winch with a locking device and overload protection make it very easy to get to grips with the crane hook, even when lifting and lowering large parts. 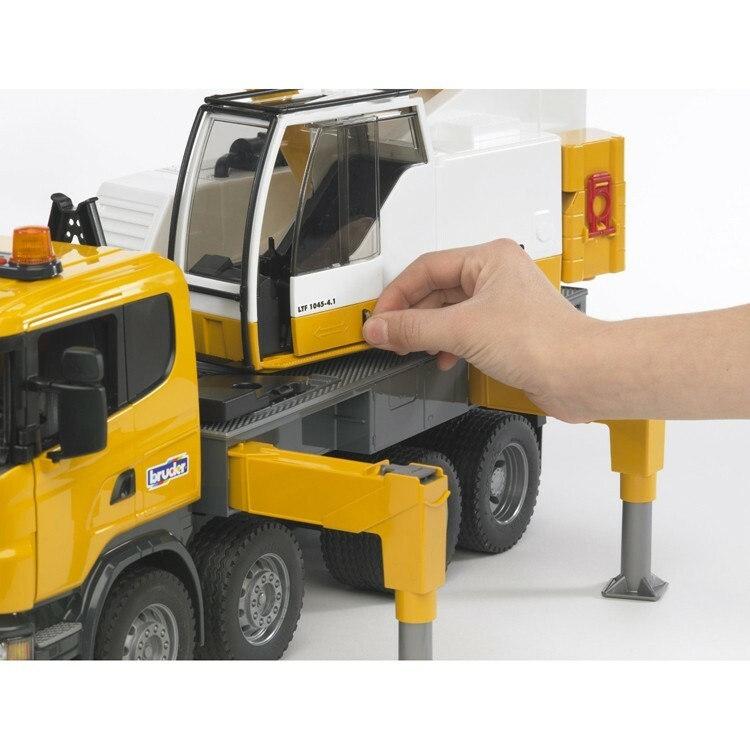 Just like the real vehicle, the crane driver's cabin has a pane protection frame and a sliding door that opens. 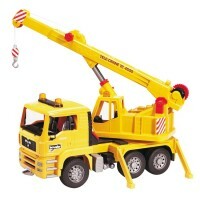 A tool compartment integrated into the platform completes the many play functions of this deluxe toy crane. 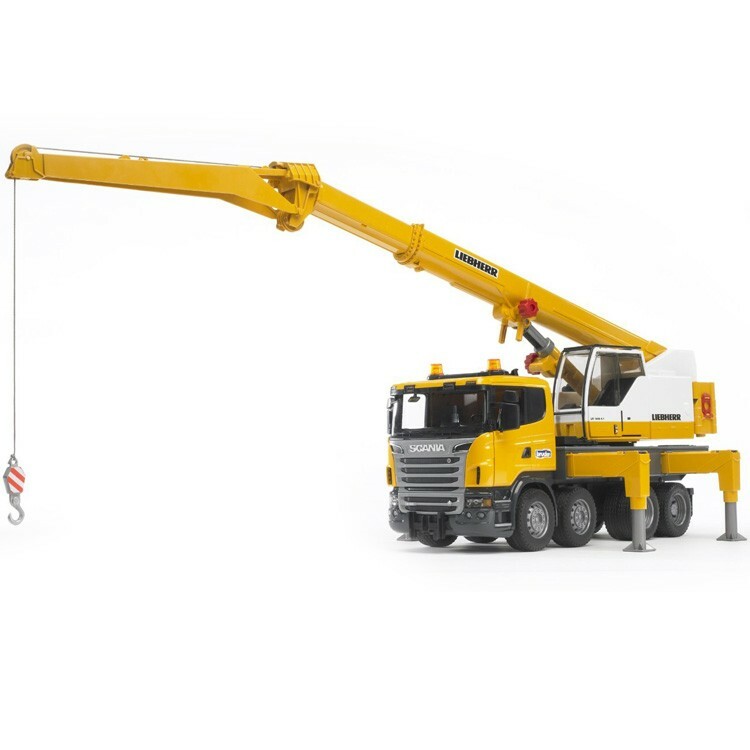 As other Bruder Scania R Series premium trucks', this crane model comes with a windscreen made from unbreakable polycarbonate. 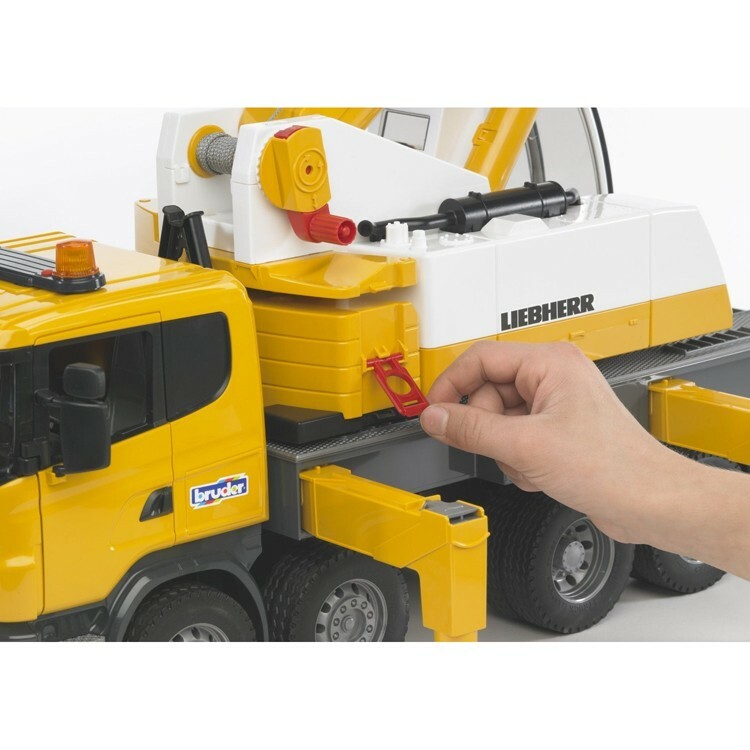 As an extra cool play feature, the Liebherr crane vehicle is equipped with kids favorite Bruder Light and Sound Module on top of the cab. 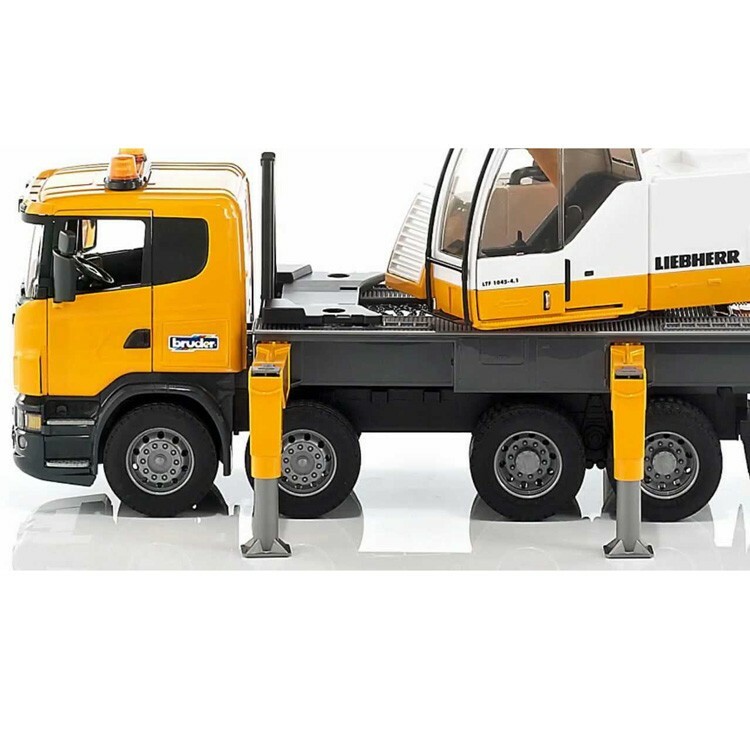 The light and sound automatically switch off after approximately 20 seconds. 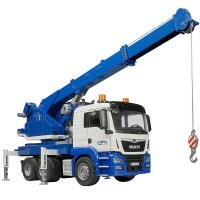 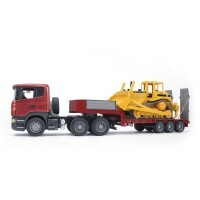 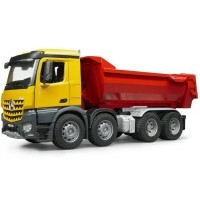 Bruder Scania R Series Liebherr Toy Crane Truck also includes folding mirrors and opening cabin doors. 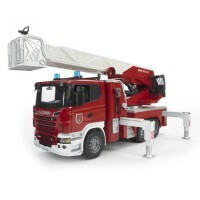 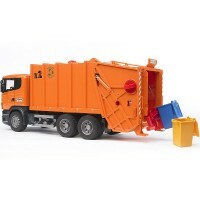 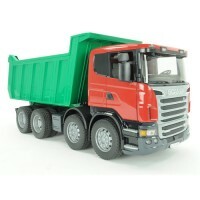 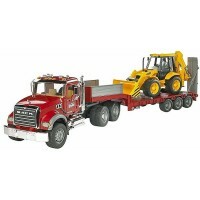 This deluxe Scania play truck made in scale 1:16 to its original version is a dream gift for boys. 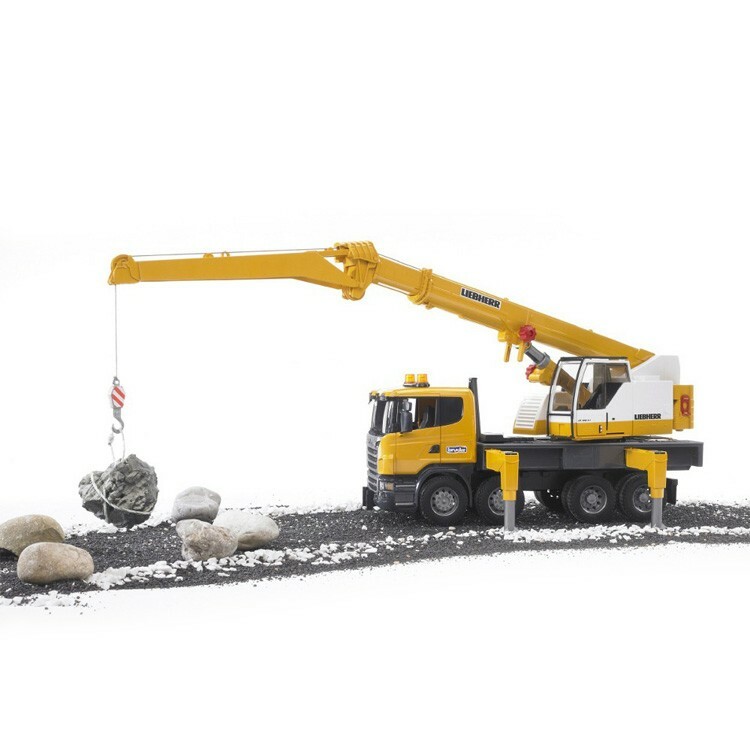 Dimensions of package 7.3" x 24.4" x 10.6"
Write your own review of Bruder Scania R Series Liebherr Toy Crane Truck.